Case studies by Pallab about winning online marketing strategies and accomplishing digital branding goals while decoding improvements in click through, lead generation and conversion milestones. In the strife for hashtag promotions for marketing conversion to meet desired goals of brand building via the virality of social mentions, “hashtags are the new URL” when we wish to use them as a start up point to close a buy circle by letting consumers form an opinion or otherwise share their interest in products & marketing promotions across social networking domains. Marketers are increasingly getting hooked to social media to engage audiences and let them express an interest in that content or product. The context for social media marketers is to glue the conversational trend on a topic that has the ability to bring in a conversion opportunity. The hype of social commerce as the “the next big thing” in eCommerce has failed to lived up to its expectation. To counter this mindset, the buying & selling of marketable objectives are made possible with the use of actionable hashtags across in-stream social media news feeds and is the new high for marketers. Analysts are trending these new channels to push the boundaries for social mentions as the “triggers” into forming an opinion about a product or promotion and could easily end up as a sort of social payment PaaS (Payment as a Service). The key for them will be in the ability to help brand increase conversions across multiple digital channels. Back in 1995, brands used URLs as a medium to promote & push users to homepages for “conversions”. Today, brands are increasingly directing users to follow brand pages across social media for anything from product promotions to customer support. These new social media marketing methodologies are additionally allowing businesses to collect data on how users are interacting with their brands. This helps brands make better informed decisions going forward, including the scope of campaign betterment, improving design strategy and engagement analysis. In short, social mentions monitoring or hashtag tracking or actionable hashtags allows brands get a glimpse into the customer intent data and push drive better ways to increase engagement on their social media channels. The challenges going forward will be to help brands distinguish exclusivity of hashtags as more and more brands & competitors alike use them. 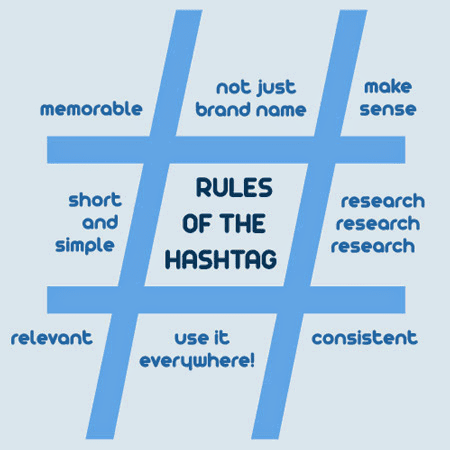 Making purchases through social is still regarded tricky and making hashtag exclusivity is principally addressed as a combination of an actionable hashtags and the campaign tags that triggers the action. Thus, days into the future when we see multiple brands trying to engage audiences using the hashtag say #Grammy2014, that will be a challenge! Here are the top trending hashtags of 2013 on Google Zeitgeist to leave you on an even note. Grouping Social Updates to Maximize Reach Personalized Social Communications Poll: Where have you seen hashtag mentions? See how to breakthrough Product launches for rewarding results! 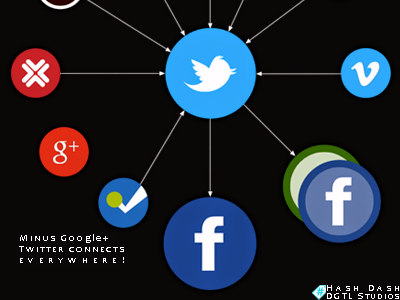 Viral marketing is tough but not rocket science and is very much achievable! One Page Website - Get Yours! Blog by Pallab | All Rights Reserved. Simple theme. Powered by Blogger.